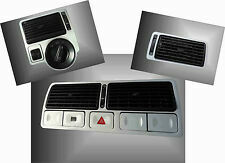 VW Golf Mk4 Jetta Dashboard Dash Brushed Aluminium Air Vents. Customise your VW Mk4 Golf. They are stickers made from vinyl which has a Brushed Aluminium effect base. 14 Brushed aluminium vinyl parts supplied. Customise your VW Mk4 Golf. They are stickers made from vinyl which has a brushed aluminium effect base. This makes it difficult for adhesive to stick and you only need a tiny amount. It is important that you try and clean it off before you start. Description: 100% brand new and high quality Fashion, and convenient The plastic cover can be removed, retrofitting garbage bags to facilitate cleaning. Can be used in car, home, office, etc., can be used as a basket, ashtray, or coin holder. Item Type: Storage Bucket Color : Black Gray Material: ABS Size: 20 * 6.5 * 9 cm Weight: 0.105 kg Note: 1.Please allow 1-3cm (0.4-1. 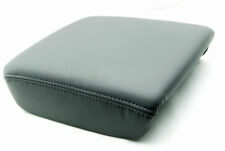 1x Car Armrest Box Pad. Care for your Arm, relax your muscles, make your driving life more comfortable, safer, more healthy. We will try our best to reduce the risk of the custom duties. 2016 2017 2018 KIA Niro. Color : Black. This item is only for Left Hand driver. Composition : 1ea. Nice Interior Upgrade. Center Console Armrest Lid Cover Latch Clip. Made of high quality plastic. Material: Plastic. Color: Black. 1x Centre Console Roller Blind Cover. 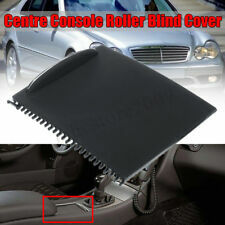 -Type:Centre Console Roller Blind Cover. - Due to the different display and different light, the picture may not reflect the actual color of the item. Detail Image. IS250 IS350. GENUINE LEXUS SHIFT SLIDE COVER. LEXUS FACTORY PART NO. B) in good condition (i.e. Trending at C $45.88eBay determines this price through a machine-learned model of the product's sale prices within the last 90 days. Details: Brand:Vesul Item Weight: 14.1 ounces Package Dimensions: 12.6 x 7.7 x 2.8 inches Manufacturer Part Number: Vesul-to-Tundr cent box Fitment:Fit for Toyota Tundra Sequoia 2014 2015 2016 2017 2018 2019 Condition: • 100% Brand New • Color:Black •Material:ABS plastic •Package Includes: 1 storage box with Non-slip mat •Direct fit,no modification needed,Keep your armrest storage in a more organized shape Please check your car before purchase!!. Fix the armrest mount to your seat by screw given. Fix the armrest to the parts from the outside, and fix the screw. Application: Universal for vehicle seat. Open the cover of the seat back. Type:Right Side. Replace Part Number 71713084. 2-6weeks to other countries. 3-6weeks to USA. Material: ABS Plastic. Including 1 PCS Storage BOX. Can not fit for with hand brake model. We will reply you within 24 hours. Color : Black. You may also like. For Chevy Colorado GMC Canyon 2015-18 Car Center Console Organizer Storage Tray. Other Part NumberTrash Rubbish Bin Can Garbage Dust Case Storage. Surface FinishTrash Rubbish Bin Can Garbage Dust Case Storage. Superseded Part NumberTrash Rubbish Bin Can Garbage Dust Case Storage. Throw the rubbish on the cover can be automatically bounce, convenient save trouble, closed. This part may also be known as: Center Shifter Trim Cover Bezel. This item is covered by our12 months unlimited mileage warranty. LOCAL PICKUP. Console Orangnizer Box for 2014-2018 Chevrolet GMC Silverado Sierra Tahoe Yukon. 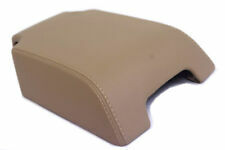 Plastic Center Console Leather Armrest Cover For Audi A4 B6 B7 02-07. Fit Audi A4 2002-2007 B7 2002-2007 4Door. 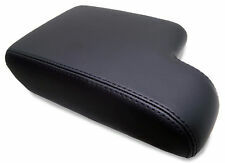 1 x Center Console Armrest Cover. Note:Not fit for 2door,only fit for 4door Audi car. -Color: Black,Grey,Beige(You can choose the color you like.). 2018 2019 KIA STONIC. Color : Black. We wish you have a joyful experience on this option of your own vehicle! Composition : 1ea. Nice Interior Upgrade. This is an OE-Replacement product, Not GM genuine parts! This listing is for one console lid "Latch only", not the who top lid. 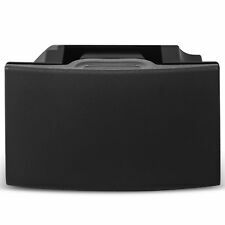 ONLY CONSOLE LIDs with 3 CUP HOLDER MODEL will WORK with this "LATCH" ! This "LATCH" is for 2007-2013 Chevrolet and GMC Truck/SUV with "Front Driver & Passenger Split Seats setting " aka "AZ-3 Seat Setup" or "Bucket Seat". Due to the different display and different light, the picture may not reflect the actual color of the item. Detail Image #divImageDetail. -Gives your new car an more aggressive front end instantly and dramatically. 1 x Car Armrest Box. Decorate the exterior of the car to make your car unique. OEM Numbers: 51167038333 / 51 16 7 038 333 / 7038333. BMW E46 316Ci M43 1999/12 Coupe 1999-2002. BMW E46 316Ci N40 2002/03 Coupe 2001-2004. BMW E46 316Ci N40 2003/03 Coupe 2001-2004. BMW E46 316Ci N45 2004/03 Coupe 2003-2006. Dorman# 10-0200F. Complete Kit - Includes 6 stepper motors and 10 bulbs for a complete repair. 2005 Cadillac Escalade ESV V8 8.1L; Sport Utility AWD. Troubleshooting Problems. Backorders may occur. Left & Right is the orientation when sitting in the car (Left indicates Driver's side). Toyota Pickup and 4runner from 1987 - 1988. Note: This dash cap design is to fit the RIGHT SIDE of the factory dash section. Make your dashboard appear new again! The cap is designed for a fast & easy installation over the top of your factory dash. 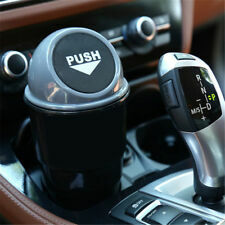 - Best fitting shifter surround in the market. Digital Photos Will Be Required For All Cases. Mini size, lightweight. Double cleaning heads. And the photo color may differ a little due to different computer monitors or other factors. Cleaning cloth width: 4cm. We reply correct size for your vehicle. We make every attempt to use accurate photos that show fine detail for each piece. Our Service. As each computer monitor is different. colors may vary slightly from pictures. 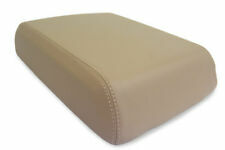 Leather Center Console Lid Armrest Cover Protector Beige For Toyota Tundra 07-13. 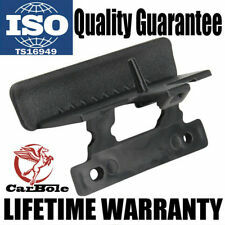 Fits for For Toyota Tundra 2007-2013. Perfect to replace your worn out console cover. Make your console look new again with this cover. Car Water Cup Holder Storage Box Container Tray for Honda Vezel HR-V HRV. Fit for Honda Vezel HR-V HRV. 1 Storage Box. Material: ABS plastic. Spring is not in set. Handle only. Does include knob and set screw. Made of high quality PU Leather and plastic. Material: PU Leather, Plastic. Perfect to replace your worn out console cover. Make your console look new again. OEM: 8P0864245P. Color: Black. Thickness: 2-2.5mm. F it For VW Golf 7 / MK 7 2014 . Including 1 PCS Storage BOX. We will reply you within 24 hours. Color : Black. You may also like. Material: ABS Plastic. 2015-2017 Tahoe, Suburban, and Yukon. This is a complete console with heated seat switches, cigar outlet, USB ports, cup holder Tray, and wiring. Color is BLACK. We carry a full line of Delco, GM, and Quality Reproduction parts and Accessories for Corvettes at Wholesale pricing. This is for 69-77 Corvette Center Vents and Seal Kits. This is for 1 Pair of vents and 1 Seal Kit. $---Fitment: Land Rover LR3 2006-2009 --- Condition: New --- Console Lid Armrest Cover --- Specially Crafted For: Land Rover LR3 2006-2009 --- OEM Look And Fitment --- Not Universal Fitment --- Material: Synthetic Leather --- Color: Beige --- Stitching Color: Beige --- No Hardware is Included --- Only The Leather Part is Included. $---FITMENT: BMW E36 325 328 318 1992 - 1999 ---Condition: New ---Console Lid Armrest Cover ---Specifically Crafted For: BMW E36 325 328 318 1992 - 1999 ---OEM Look And Fitment ---Not Universal Fitment ---Material: Synthetic Leather ---Color: Black ---Stitching Color: Blue ---No Hardware is Included. ---Only The Leather Part Is Included. 2004-2008 Ford F150 4Dr Extended Cab /Crew Cab. Material OEM Material(PP). Fits SuperCab models. Fits SuperCrew models. Item Information WARRANTY POLICY. AIR FILTER. If you're located outside of the continental USA (including HI,AK, VI, GU ,MP,PR, APO, FPO). 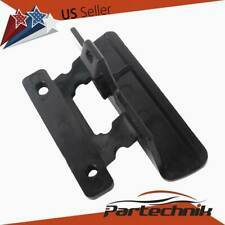 Plastic Center Console Lid Armrest Cover Latch Clip For Audi A3 8P 2003-2012. Fits for Audi A3 8P 2003-2012. 1 x Console Armrest Cover Latch Clip. M ade of high quality plastic. -Material: Plastic. The interior console of a car or truck is designed to assist a driver in a multitude of ways. As a result, many types of parts and accessories go with a truck interior dash and door. Understanding these vehicle interior parts and the kits that go with them is essential for ensuring you buy ones that are right for your needs. What is the console in a pickup? The console in a vehicle covers the front of the interior and is designed to provide you with a variety of controls. For example, you are likely to find your radio and its controls on this part of your car. You are also going to find the climate controls and other items. You can see your driving information, such as your speed and how far you have traveled. A high-quality car or truck console can often be tweaked by changing its interior parts with accessories. You may also be able to obtain accessories and other panel kits that let you install them yourself. The console parts you need will depend on your truck or vehicle. For example, most types of Ford trucks have a console across from the seats and stretching to the floor. How do console and panel accessories help a vehicle? There are many parts and accessories that a person can add to their truck panel to help improve the way it runs. 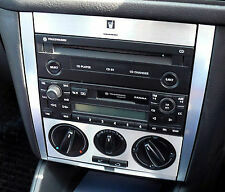 For example, they could install new radio or radio parts to get improved sound and higher-quality speakers. It is also possible to place different knob parts on the radio if the ones on your dash break down. This step helps to make your truck or vehicle more comfortable. However, you can also improve the aesthetic look of your truck by adding various organizer and decoration parts inside of the dash. For example, a small deer with a bobbing head makes a fun accessory for the panel or dash of a hunter's truck. You can also add an organizer to take control of the mess inside of your vehicle. Before you buy any panel accessories for your truck model, it is a good idea to know what kinds are available. 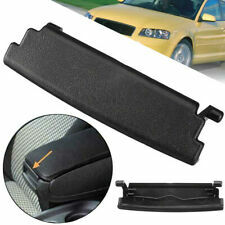 For example, centre panel organizer parts for your truck or car help to keep your items in order. 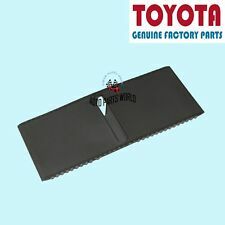 You can also buy a floor insert tray that will protect your vehicle's floor from dirt and snow. You can pair your panel with rest latch kits to make it more comfortable. Another accessory for the panel or dash is a power-outlet receptacle cover. These are designed to go inside of or over the top of your power outlets. This accessory is a good idea for those who have lost the original covers or the cigarette lighter itself. Other types of accessories you can add to your model of car or truck include small deodorizer kits that fit over your vents. These will spin and distribute scent whenever you run your heat or air.